Just like a business mission statement a life mission statement helps to define who you are, where you are going and how you want to get there. Becoming the best submissive you can be is a journey, there is no denying that. A mission statement that you can learn and grow by can help with your determination and drive to continue to improve and grow in life. A life mission statement is a way of saying, "these are my goals and code of conduct for how I want to live my life." 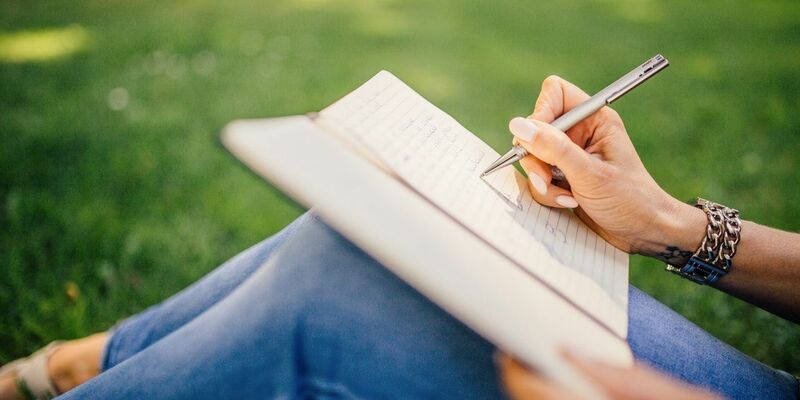 There is no wrong or right way to write one but there are several steps that can bring you to a workable statement that will help give you focus and direction to your life. What's the purpose of writing one of these as a submissive? Everything. One of the most common occurrences in life is that people forget where they are headed or what makes them a good person. Having and reviewing a mission statement will serve as your reminder of your plans and goals in life. Your mission statement needs only to remind you of the person you wish to be, how you plan to succeed and what values and beliefs do you hold yourself to. Ideally, a personal mission statement is one to two paragraphs long, however, it can be as brief or as detailed as you want it to be. I've shared my personal code of ethics here on Submissive Guide. It took a lot of soul searching to be able to detail exactly how I wanted to live my life and what beliefs I want to hold dear to my own success at life. A personal mission statement is, in essence, a summary of the code that you may have written for yourself. You can start either with the mission statement or the code of ethics. There is no wrong or right way. Try not to include what others want you to do or who they want you to be. Focus on what you want for yourself. Step 1: Identify Past Successes. Spend some time thinking of four or five instances in your life where you have had personal success. These can be in your job, your relationships, community or at home. Write them down. Are there any themes or commonality in these successes? Step 2: Identify Your Core Values. What is important to you? Develop a list of attributes that describe who you are as a submissive and what your priorities are. This list can be as long as you need it to be. Once your list is complete, see if you can narrow your values to five or six most important values. List ways that you can make a difference in a Dominant's life, your life or the world in general. Spend some time thinking about your priorities in life and the goals you have for yourself. Make a list of your personal goals, perhaps in the short-term (up to three years) and the long-term (beyond three years). Step 5: Write Your Mission Statement. Using the previous 4 steps develop and create a statement that speaks to who you are and who you wish to become. A personal mission statement is just that, personal... but I recommend you share it with at least one other person close to you and get their feedback on it. Remember, a mission statement isn't meant to be permanent and unchanged. Take time every year or so and review it and change it as you change. Just as you are becoming a better submissive and human being, your statement will develop and grow with you.